Time: ?? 30 minutes ?? 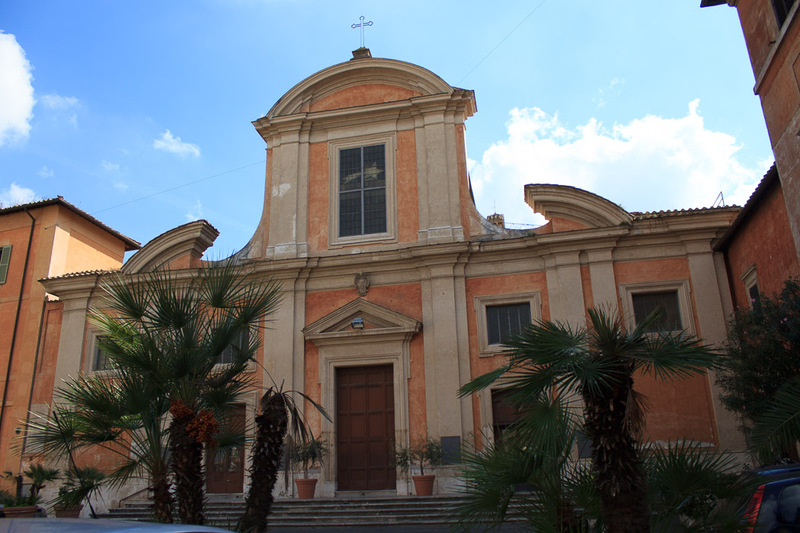 San Francesco a Ripa is a church in the southeastern part of Trastevere which is dedicated to St. Francis of Assisi. The last chapel on the left is the Altieri Chapel, by Bernini with a sculpture of the Blessed Ludovica Albertoni and a canvas by Baciccia. I happened to arrive at the church at 12:55 PM, so only had 5 minutes before the church was closing for an hour, so although there's probably more to see here, I concentrated on the Bernini sculpture which was the primary reason I went to this church. 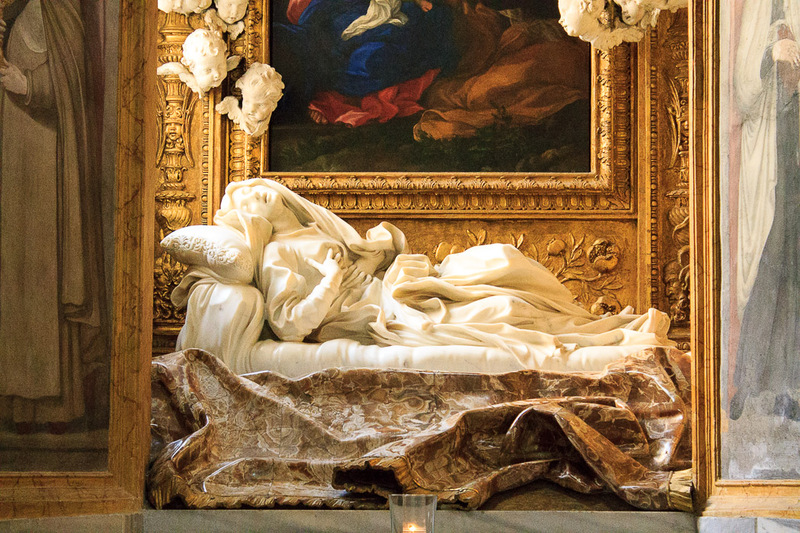 The sculpture is one of the last works by Bernini, completed in 1674, and reminds me in many ways of the Ecstasy of St. Teresa in the church of Santa Maria della Vittoria, but without the onlookers or the spectacular setting of that sculpture. 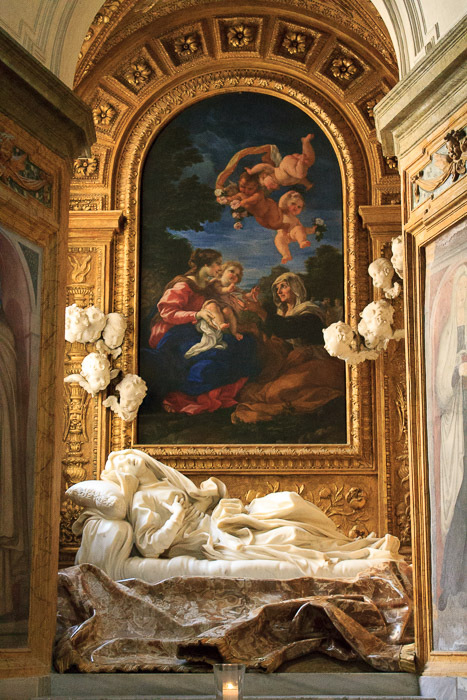 The figure of Ludovica Albertoni, a Roman noblewoman who lived a pious life and entered the Third Order of St. Francis following the death of her husband, is presented on a mattress at the moment of mystical communion with God. As with all other Bernini sculptures I've seen, it is a spectacular sight. See all San Francesco a Ripa photos.